Subscribe to the free fortnightly eNewsletter, and have the quarterly eMagazine version of Australasian Mining Review delivered straight to your inbox. Would You Be Interested In Advertising? 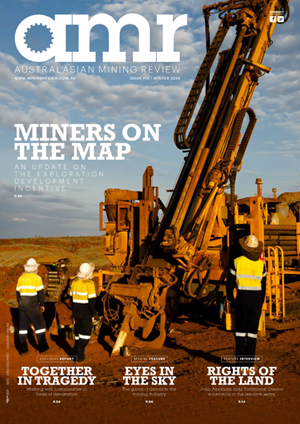 Subscribe to the print version of Australasian Mining Review for a year and have all four issues delivered straight to your letter box from only $40.00 per year or $60.00 for 2 years.